Our company philosophy is built around the belief that a customer inevitably becomes a lifelong partner with The Farley Group – from project planning and installation to ongoing service and maintenance, we become a trusted member of your team. With a focus on design, technology, and customer satisfaction, The Farley Group are committed to providing only the best of products and ensuring that our customers experience the best that The Farley Group has to offer. Ralph Farley, our Founder, brought this concept to North America from Sweden in 1970. Since its inception, The Farley Group have been industry leaders with a hand in over 900 air-supported structures across the world. Located west of Toronto, our Puslinch-based manufacturing facility is a 58,000 square foot air-supported structure that features a state-of-the-art electronic radio frequency welding platform. We design and fabricate each air structure in-house to ensure every project is a product of a closely-knit team. 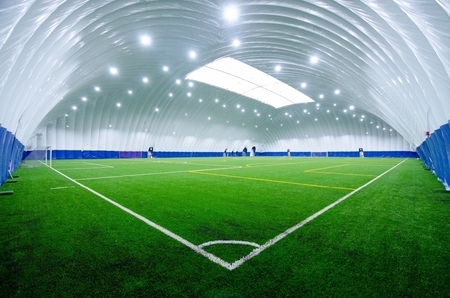 Using only the best of materials and technologies from Canada, US, and around the world, we ensure our domes are the highest quality and are ready for any challenge they may face. Expertly installed and closely monitored by our service crews, Farley Domes are always reliable and ready to withstand the test of time. The Farley Group are experts in design, manufacture, installation, and service with a forward-thinking focus on innovation. Composed of expertly talented and finely skilled individuals, The Farley Group is ready to share our expertise.